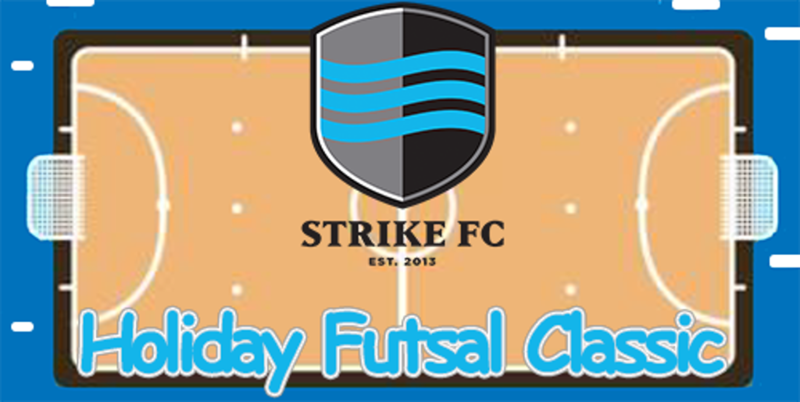 Strike FC Wisconsin is pleased to host its 5th annual Holiday Futsal Classic. Last year we had over 60 teams participate across two weekends. This year's tournament will also take place across two weekends. November 30-December 2 for U11-U19 teams and December 7-9 for U8-U10 teams. The tournament will take place at the Strike FC Futsal Facility in Hartland, WI. This event will be a great way for your team to kick off the winter season. SPORTSFORMS: This years Holiday Futsal Classic will utilize SportsForms to make for a simple and paperless registration process, allowing team manager to save the hassle of the in person check in. ©2019 Strike FC Wisconsin / SportsEngine. All Rights Reserved.